Archive for the ‘Festivals’ Category. For 3 days – March 30th, 31st and April 1st – Foodsmiths in Perth will host their annual EMPTY BOWLS FUNDRAISER. 11 am to 2 pm daily, come into the store to purchase your locally handcrafted ceramic bowl and have it filled with a delicious kale-bean soup. For $25, you can support local food programs and community groups, have a delicious bowl of soup, and get a beautiful piece of art you can take home! Bowls are now available for purchase in-store. Keep your receipt and come back during the fundraiser for soup! Studio Theatre Perth presents WRONG FOR EACH OTHER by Norm Foster, directed by Jeremy Dutton. A hilarious look at how things that begin so right can go so wrong! Wrong For Each Other revolves around a couple who meet, marry, divorce, and then meet again. 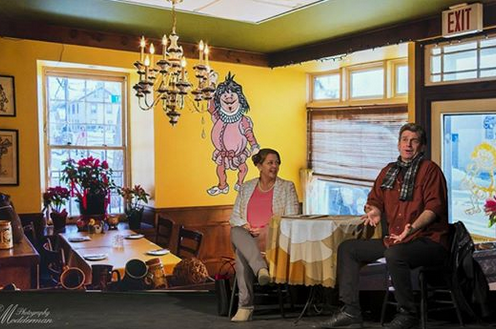 It is a fascinating dance of actors with Hugh McCulloch and Laurie Reesor playing the couple after divorce, and Lucas Tennant and Mary Ann Majaury portraying the same couple when they meet, during the courtship and into their marriage. Tickets $22 in cash at The Book Nook (267-2350), Shadowfax (267-6817 + service fee) and Tickets Please (485-6434). Tickets $24 at the door, $10 for students with ID. Playing March 30th, 31st, April 1st, 7th and 8th at 7:30pm; and April 2nd and 9th at 2pm. 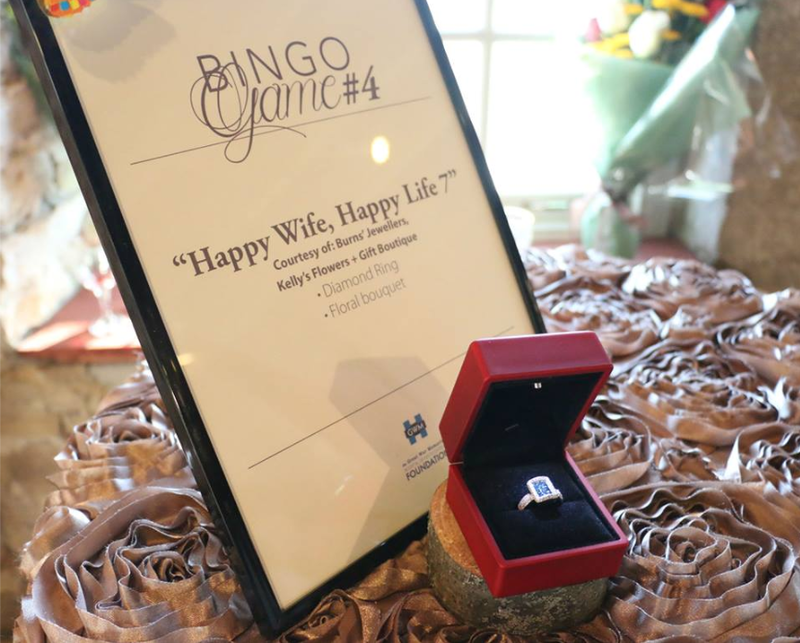 Join the Great War Memorial Foundation for a Black Tie Bingo Gala on April 8th, 2017. 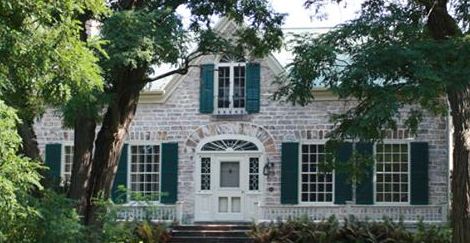 Established in 1982, The Great War Memorial Hospital of Perth District Foundation is non-profit corporation created to serve as a guardian of gifts and bequests to the GWM site of the Perth and Smiths Falls Hospital. It is designed to enhance the health care system by increasing public awareness and by providing financial support. Through generous contributions from companies and individuals, the Foundation has funded many important projects. The Annual Perth Tourism Easter Egg Extravaganza will take place on April 15th, 2017, with the Easter egg hunt starting at 11:00 a.m.
(must be accompanied by an adult, bring your own basket!). Each child receives a treat! Mr. and Mrs. Easter Bunny will be there to greet the children, with music and entertainment, as well as Sparky the Fire Safety Dog and the Perth Fire trucks! 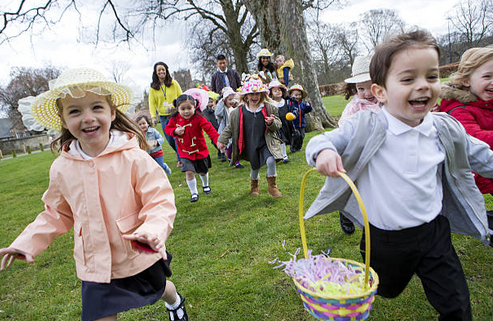 Children 8 and under can enjoy the entertainment, visit with the Easter bunny, then search for eggs in the park. Every child will receive a treat! 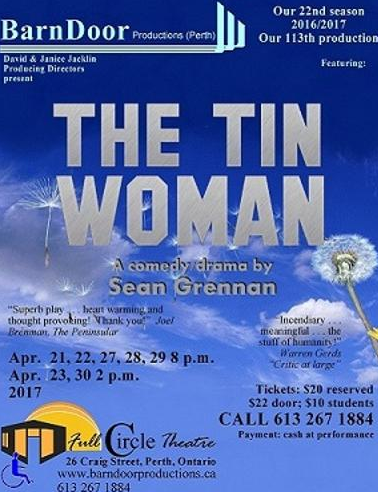 BarnDoor Theatre in Perth Presents: The Tin Woman! A new play by an emerging author. A heart transplant recipient goes on a trip to find the family of her donor – and finds her heart, too. A comedy-drama, or drama-comedy, either way, it’s critically acclaimed! 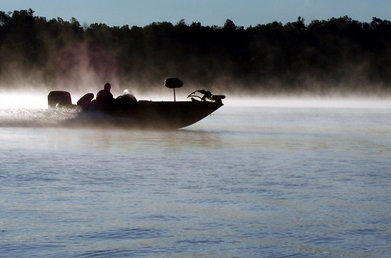 Perth Gun Hunting & Sportsman Show will be taking place on Saturday April 22nd from 9:00 a.m. to 4:00 p.m. & Sunday April 23rd from 9:00 a.m. to 3:00 p.m. at the Perth Community Centre. Admission is $6 and free to kids under 14 who are accompanied by an adult. Over 200 tables – Antique & modern firearms, fishing items, ATV’s knives and military items, gun parts, archery ammunition & new/used collectibles. Perth Saltos Gymnastics Presents the 5km Sap Run taking place on April 29th, 2017. At Saltos Athletics Inc we know your family’s time and kids’ activities are important. We offer a diverse range of gymnastics programs to meet the entertainment and recreational interests of kids in the Perth area. Whether you are looking to try gymnastics for the first time, challenge to a higher level or just make new friends, Saltos Athletics Inc is the place to be! As a leading provider of gymnastics programs in the area, we take pride in offering the best coaching and most diverse programs. We are dedicated to our kids and making sure that they are having fun while learning the fitness and fundamentals of the sport of gymnastics each and every class. The Perth & District Chamber of Commerce host the annual FESTIVAL OF THE MAPLES in Downtown Heritage Perth, on Saturday, April 29th, 2017. A day of maple featuring a pancake breakfast at the Perth Legion (26 Beckwith St. East), vendors on the main street with food, arts and crafts, music and other entertainment on the main stage, the kids’ area is located in the Basin with the Mighty Machines display and lots of games. On Saturday, April 29th, experience the grand finale of the maple syrup season at the area’s sweetest celebration. Join us in scenic downtown Perth where you will discover fantastic shops, vendors, maple syrup producers, displays, entertainment, kid’s activities, classic antique car show and various demonstrations. Be sure to check out the annual pancake breakfast! The annual Antique and Classic Car Show of the Perth Festival of the Maples, will be held again this year, on Saturday 29 April, 2017. As in recent years, the show is on Herriott St., between Gore St and Wilson St. Access to the show is; from Hwy 7, turn east on Wilson St., at Canadian Tire. Proceed to Foster St. then through Foster to the show entrance on Wilson in front of Fiddleheads Bar. From Hwy 43, or Rideau Ferry, County Rd., 1, go onto Drummond St, West until Foster St. Go south on Foster to Wilson, turn Left on Wilson. The entrance to the show will be there. There will be space for approx 50 cars, first come, first served from 9:00 AM, to 4:00 PM, on the 29th. There is no entry fee for the show, no judging, draws or prizes. Usually the cars draw a considerable number of spectators from the Festival. Car owners are free to attend the Maple Festival as they wish. For further information regarding the show, contact Jerry Koeller in Perth at 613-267-5369, or by e mail to; jerry@koeller.ca. We look forward to seeing the participants, at the Car Show and Festival. Join the Perth Citizens’ Band for their Annual Spring Concert on April 30th, 2017. 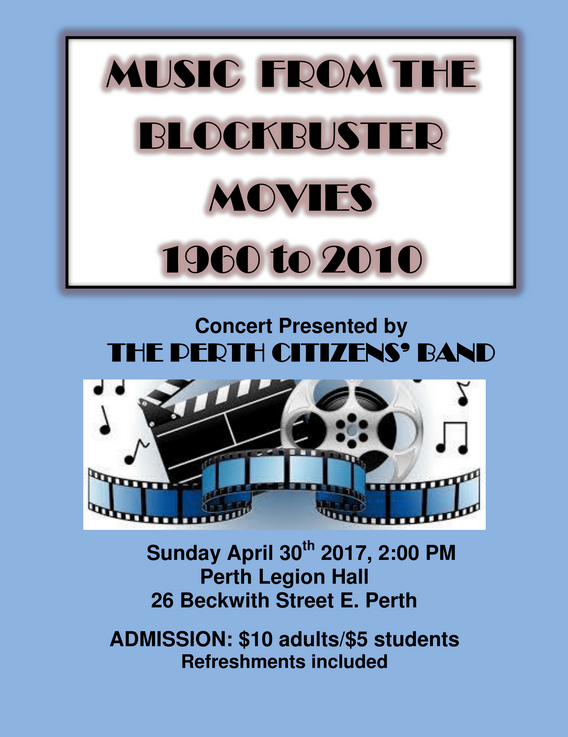 The Perth Citizens’ Band, Canada’s longest continuous town band, will be holding its annual spring concert titled “MUSIC FROM THE BLOCKBUSTER MOVIES: 1960 to 2010”. Many movies of those 50 years had memorable music that is still recognizable today by all ages; from the eerie opening theme for Psycho, to war epics Patton and the Great Escape, to the love ballad from Titanic, to the musicals Cabaret and Chicago. The concert also features familiar themes from blockbuster movie series such as James Bond, the Pink Panther, Rocky, Star Wars, Harry Potter, Pirates of the Caribbean, and Lord of the Rings. The concert will be held on Sunday April 30 starting at 2PM at the Perth Legion Hall, 26 Beckwith St. E., Perth. Admission at the door is $10 per person and $5 for students and includes light refreshments. The Rotary Club of Perth invites you to join us at the Perth Fairgrounds in beautiful Heritage Perth on the August 21-23 weekend for our first annual PERTH RIBFEST and CAR SHOW featuring 3 days of enjoyment for the entire family. Stay tuned for more information as it becomes available. Admission by Donation and Free Parking outside the Fairgrounds. There will be disabled parking within the Fair Grounds (sticker required). Donations are appreciated and go towards local community projects. Ribs Royale BBQ hails from Nevada, USA. We compete in various ribfests across Canada. We are known for our succulent, savoury, fall-off-the-bone, RIBS, CHICKEN & PULLED PORK! In 2012 alone we won over 40 first place awards, and best ribs, best sauce categories. Please visit our websitewww.ribsroyale.com. Dinosaur BBQ Pit is the latest championship BBQ team to cross the border and compete in the Ontario RibFest circuit. All the way from Little Rock. Arkansas, our motto is to bring a deep southern BBQ taster and experience that is like no other and cannot be beat. We have won awards for our fall-off-the-bone smoked ribs, succulent oven-roasted chicken and cherrywood smoked pulled-pork all throughout the U.S.!! When at ribfest make sure to try Dinosaur BBQ Pit to see why we have the BIGGEST TASTE!!! Originally from Motley Texas, now out of Zorra Township, Ontario. Began touring the Canadian Circuit 6 years ago winning several awards every year! The company has grown and become a large contender amongst the best in the North American Ribfest Circuit. The Classic Theatre Festival presents the classic thriller that pits a blind woman against a gang of thieves who have invaded her apartment. Wednesday to Sunday at 2 p.m. with 8 p.m. shows each Wednesday, Thursday and Saturday at 54 Beckwith Street East (at Harvey). 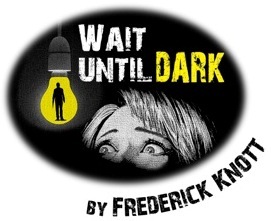 The second show of our 2015 season is the gripping Frederick Knott thriller Wait Until Dark, a heart-thumping tale of a blind woman who must fend off a group of seedy drug dealers and thieves who have invaded her apartment using a variety of ruses. Later a beloved Audrey Hepburn film, the stage version features some of the most intense moments Broadway witnessed in the 1960s. All tickets subject to a $4.00 box office fee. For Barefoot in the Park, click here. WAIT UNTIL DARK is presented by special arrangement with SAMUEL FRENCH INC.
Awaken your taste buds at this festival that includes vendors, contests and children’s activities. Perth Fairgrounds. Admission is $5 and children under 12 free. Thank you for your support. Money raised from this event goes to to worthwhile community initiatives supported by the Lions Club of Perth. 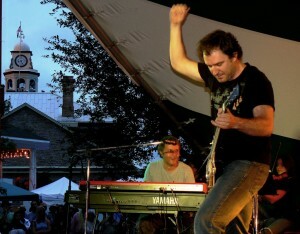 Under a canopy of majestic maple trees, the Stewart Park Festival in Downtown Heritage Perth brings together an eclectic variety of Canadian and International musicians for a great weekend of over 30 free outdoor concerts. The weekend has entertainment for everyone including children’s entertainment and an international food and artisans market. Welcome to the McDonalds Corners Farmers Market where you can buy locally-grown food. On July 25, you’ll also be able to buy locally produced yarns, spinning fibre and beautiful artisan-made garments. 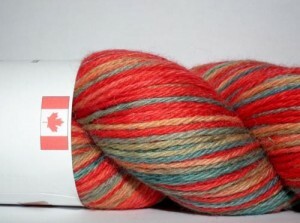 Time: 9:00 a.m. to 1:00 p.m.
Local fibre producers and spinners, knitters, weavers and felters have formed a group called Fibre Roads, with the aim of promoting the ‘buy local’ concept in the fibre arts. After all, Eastern Ontario was once a major centre of textile manufacturing – and now, people in this area are raising fleece-breed sheep, alpacas and llamas, and creating the heirlooms of the future. On July 25, Fibre Roads members will be selling at a mini-Fibre Festival at MERA. 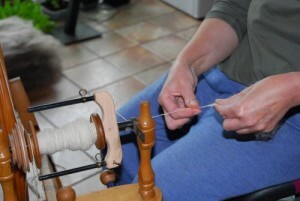 While you’re at the Farmers’ Market, come round the other side of the Schoolhouse and see the work of local fibre artists and watch them demonstrating spinning, weaving, carding, and other fibre work. You can even try your hand at some of those techniques! 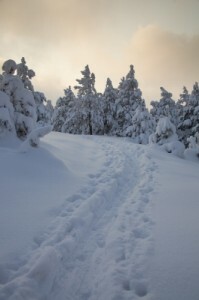 The Frosty Fling takes place the last weekend of January. 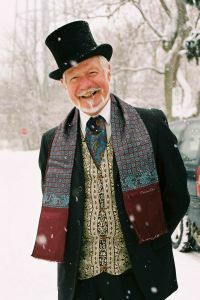 This annual family event features skating, costumes and outdoor activities in Lanark Village. Festivities kick off January 30 and close February 1, so bundle up and come out to the winter carnival the last weekend of January. On Saturday, November 22nd, 2014, the Downtown Heritage Perth BIA hosts the Annual FESTIVAL OF GOOD CHEER, a shopping festival extravaganza in Downtown Perth. Vendors will be located in the Crystal Palace from 10am to 3pm, come and shop locally amongst the beautifully decorated Community Christmas Trees! Downtown merchants will have lots of in-store specials, and there will be live music at locations within the downtown. For further information emailbia@perth.ca or call Heather Hansgen at 613-267-3311. On Friday, November 21st, 2014 the Downtown Heritage Perth BIA presents the FESTIVAL OF LIGHTS adjacent the Crystal Palace and in the Tay Basin. The fun begins at 6pm with music and a bonfire beside the Palace, followed by a fireworks display at 6:30pm sharp. 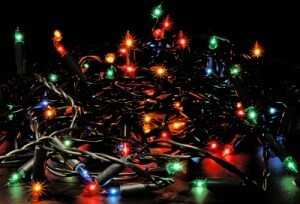 After the fireworks, the Crystal Palace will opened for the mass lighting of the Community Christmas Trees. 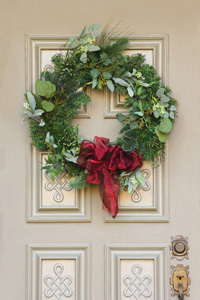 This is the BIA’s way of ringing in the Christmas and Shopping season in Downtown Heritage Perth. For information please call Heather Hansgen at 613-267-3311 or bia@perth.ca.